Following the resignation of Cedefop Director James Calleja, Deputy Director Mara Brugia has been appointed Acting Director by Cedefop’s Governing Board. The selection process for the appointment of a new director is in progress. 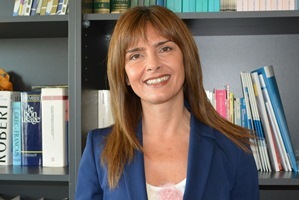 Ms Brugia has been Cedefop Deputy Director since 2014. She has been involved in vocational education and training (VET) since she joined Cedefop in 1994. As Head of area (2004-14) she managed teams of experts working in European VET policy analysis, adult and work-based learning, with specific focus on apprenticeship-type learning, and the European tools for recognition and transparency of qualifications, such as the European qualifications framework. She also served as Acting Deputy Director from November 2012 to October 2013. Ms Brugia holds a university degree in economics and a master in economics, politics and law of the European Union. Born in Perugia, her mother tongue is Italian and she is fluent in English, French, Greek and Spanish.